"Daddy, what do you do to make money?" As an entrepreneur, I wasn't sure how to answer. So together Jimmy and I created this book. And we want to mail it to you, completely free. Over the next few weeks Jimmy and I wrote this storybook about what an entrepreneur does. It's written for kids age 4-13. We'll snail mail you free 10 page coloring storybook. Below is a preview of the actual book. My mommy daddy is an entrepreneur and she he is a superhero. A story about entrepreneur parents (superheroes). 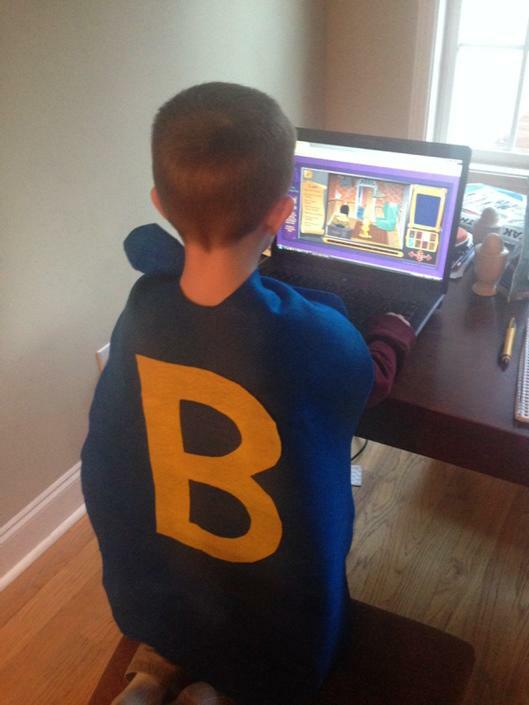 Being a profitable business owner and loving parent takes a superhero. Here's a children's storybook celebrating the things you do! This is a storybook about those special people who create jobs for others and then read their kids stories at bedtime. We'll mail you a 10-page coloring storybook for your child for free. No strings attached. Just submit the form on the right with your information. This project was sponsored by LessEverything and you will be mailed a copy of this book. That's it, nothing sneaky. This project is sponsored by LessEverything.com.